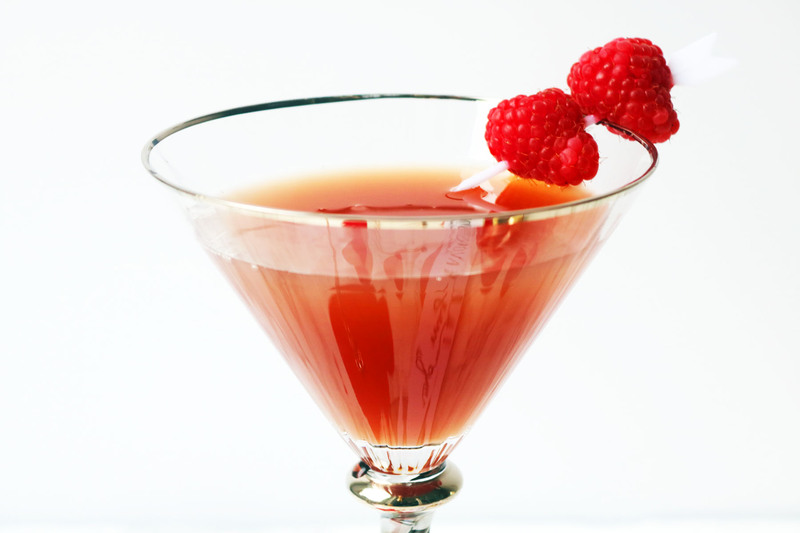 The French Martini is a twist on a classic, made with gin, vermouth raspberry liqueur and pineapple juice. Why not make one for your significant other this Valentines Day! It’s not secret that I am a BIG cocktail lover. Jon has his craft beer and I have my stash of spirits, liqueurs and bitters so that I can pretend to be a mixologist at home. More often than not I will opt for a gin based cocktail. I love that each gin is flavoured with different botanicals meaning that each gin has a different mixer and garnishes that it works well with. This opens up a huge world of cocktail combinations. The cocktail aficionados amongst us will know that a martini can be made with either vodka or gin depending on your preference, and is also usually mixed with vermouth. A dry Martini is made with dry, white vermouth and a dirty Martini contains a splash of olive brine or olive juice and is typically garnished with an olive. Whilst a perfect Martini uses equal amounts of sweet and dry vermouth. Espresso martinis are another popular variation (you can find my classic espresso martini here and my matcha martini here) but today I’m sharing my twist on a French Martini. The French Martini is surprisingly not French. The vodka based cocktail was invented in the 1980s at one of Keith McNally’s New York City bars and over a decade later appeared on the drinks menu at McNally’s Balthazar in Soho. The original cocktail is made with vodka, raspberry liqueur (such as Chambord) and pineapple juice. I can only presume the cocktail got its name from the use of Chambord as a key component. Considering my gin collection is much larger than my vodka collection I wanted to put my spin on this 1980s New York classic and opted to start with a gin based martini. Whilst you could use any gin sitting in your drinks cabinet for this recipe (Gordon’s and Bombay Sapphire instantly spring to mind). But, I’d definitely recommend a lighter, more floral gin like Bloom, Hendricks or Gin Mare. Something more spicy like a Monkey 47 or Ophir might be a bit much but by their nature any gin will hold up well against the sweet fruits. The vermouth you choose is less important. A sweet vermouth will work in harmony with the sweet flavours of the fruit but a dry vermouth will support the gin and help avoid the cocktail being too sickly. I opt for a dry white vermouth but you can use your own judgement here. Scroll down for the full recipe below. I love how the cocktail turns this wonderful shade of rose when all of the ingredients are combined. 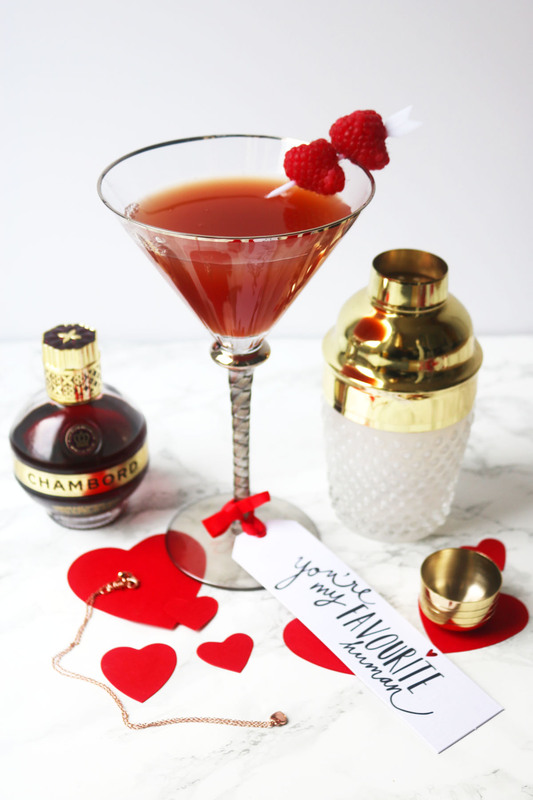 I think this cocktail would slip down very well with a piece of rose gold jewellery for Valentines Day! What do you think? Pour the gin, vermouth, raspberry liqueur and pineapple juice into a cocktail shaker along with ice and shake vigorously. Strain the mixture into a martini glass and serve immediately. As with any cocktail these are best sipped slowly. They are quite potent and with such sweet syrupy flavours it’s easy to forget you are drinking a combination of three different types of alcohol. Enjoy sensibly please. And, of course, the raspberries used as garnish make it one of your five a day! Oh yes please, slurp slurp. Sharing this beauty right now! I love Chambord and always have a bottle in my liquor cabinet. This martini looks and sounds lip-smacking! What a great way to kick off Valentine’s Day! Oh how fun! Last Valentine’s Day, my husband and I made French 75’s (we both love Gin!) but we might have to try these this year because they’re so festive! Omg I haven’t had a French 75 in ages!!! You’ve tempted me now! I never knew that it wasn’t actually French. 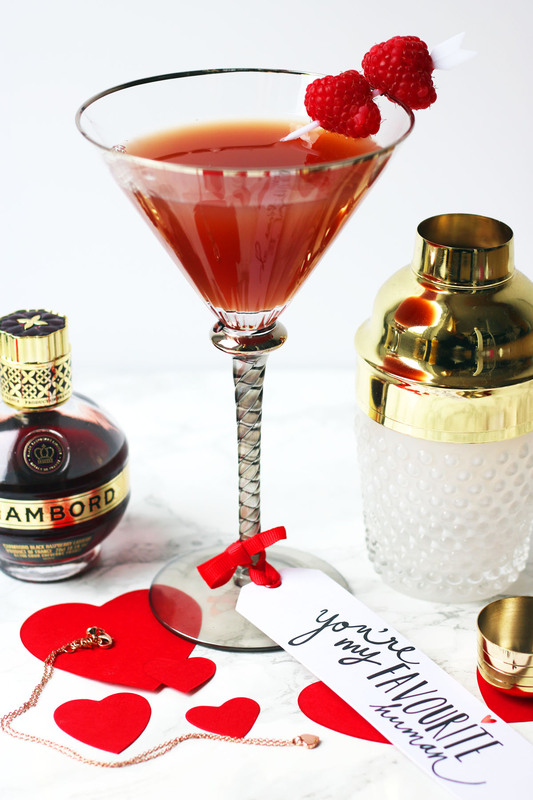 It’s a beautiful looking cocktail and perfect for a valentine’s day! That looks so good, and what a gorgeous colour too! Perfect for Valentine’s day!